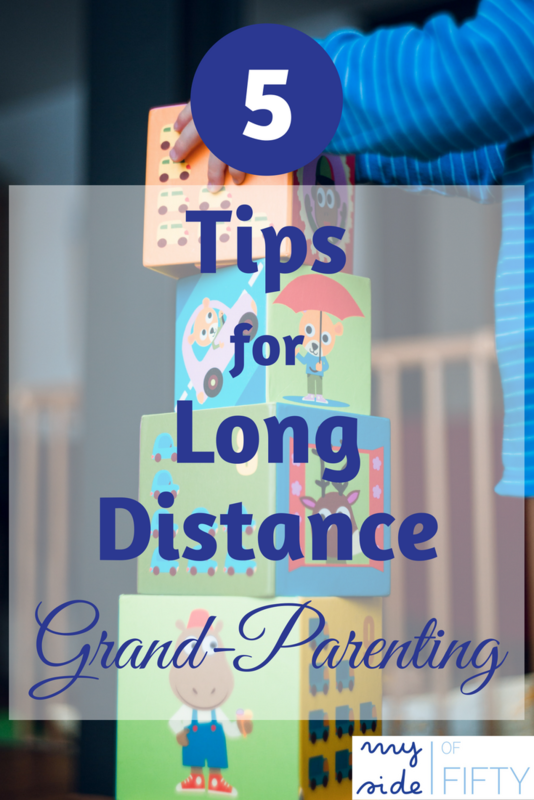 Are you a Long-Distance Grandparent? We are blessed to have all 3 of our grandkids VERY CLOSE to us. But for many, with our mobile society and our adult kids taking jobs all over the world, that is not the case. 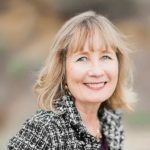 One of my favorite midlife bloggers, Caryn Payzant of The Midlife Guru, is a long-distance grandparent. She lives in California, while her grandkids live in Washington and Ohio. 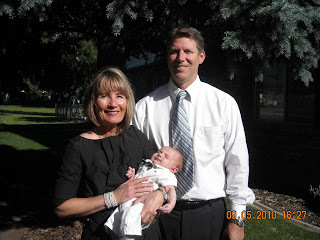 Although she is not having the “close in proximity” grandparenting experience she anticipated, she has found ways to stay connected to those she loves the most in the world. 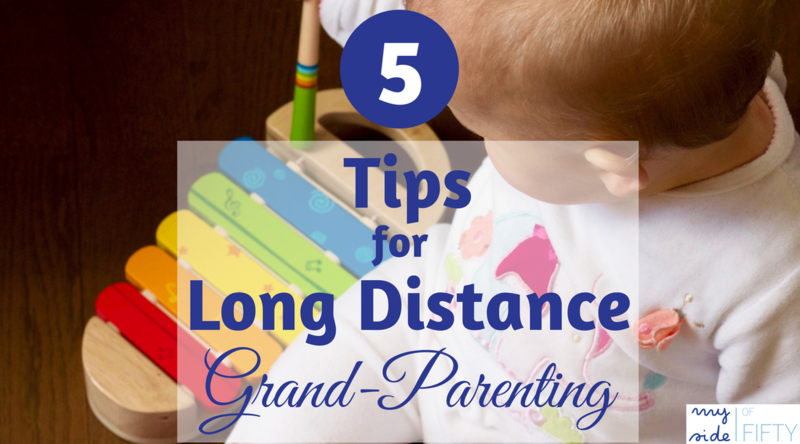 Here are her 5 Long-Distance Grandparenting Tips to Shrink the Miles Between You and Your Favorite Loved Ones. I always planned that when I became a Grammie, I would be the kind of Grammie that was hands-on involved with my grandchildren’s’ lives. Babysit at least once a week to give the parents a free date night. Take my grandchildren on regular outings. Make and eat treats together. Create cute little projects. Go to their special events. Share secrets. Have sleepovers. You know– the memory making, good friend, always around, spoiler kind of Grammie. 1. Embrace Technology. I couldn’t even imagine what it would be like to have not have regular communication with my grandsons. Thank heavens for technology. Cell phones, tablets, and computers are my number one tools I use to hear and see my grandchildren on a regular basis. And it certainly helps that kids today learn pretty early how to use and enjoy these tools as well. FaceTime is our favorite. Not only do we talk and make funny faces, the boys share their school work and latest Lego designs, they give me a tour of their rooms and they show me what they are eating. They like me to show them when I put up my holiday decorations or what the sun looks like (since in Washington and Ohio they don’t get to see it much). 2. Utilize Snail Mail- I know it’s old-fashioned, but who doesn’t like getting mail? I send cards for all holidays and I’ve even been known to make up special occasions just so that I can send something fun. Small packages are great to send too, especially if a birthday is a long ways off. 3. Create Reminder Cues. I’ve made visual and auditory reminders for my grandsons so that they can remember the sound of my voice or the look of my face when we haven’t communicated in a while. Of course pictures in frames, scrapbooks, or calendars are always welcomed. I’ve used templates on online sites like Shutterfly or Blurb to help me with my designs. 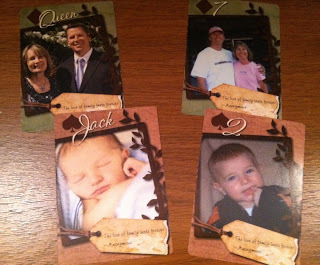 Another favorite I made, using the site Heritage Makers, was a deck of playing cards using our family pictures as the faces for the cards. When they were younger, the boys used the cards for a matching game. Now that they are older, it is fun to use these cards to play “real” card games with them like War or Hearts. The grandsons also really enjoy audio books my husband and I have recorded. My favorites are recordable books by Hallmark. They are reasonably priced (you can use a Hallmark coupons to purchase them), sturdy, wipeable (think dirty fingerprints), and easy to record. The selection of books has grown over the years since I have been using them, adding classic titles and modern themes like superheroes. Since Christmas is the time I really miss being a part of, I made sure both families had a holiday title where they can hear us read all season long. After all, that is something I would definitely be doing if I lived closer. 4. Visit Often. Of course, nothing is better than in-person interactions. I try to plan a visit twice a year. It’s certainly a lot easier for me to go see the grandchildren than to have their parents schlep all their paraphernalia across the country to come see us. 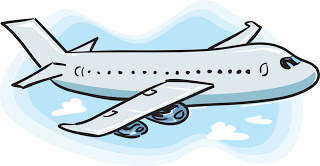 To help with my travel costs, I subscribe to a couple of airline sites that have frequent stops to where I need to go. Southwest Airlines “Ding.” alerts me on my cell phone whenever there is a special deal to airports in Washington and Ohio. Having credit cards associated with miles is also a good way to cut down on airfare expense. No matter what airline you fly, buying a ticket on the internet at the airline’s website is always cheaper. I have a set price that I am willing to pay for my visits and I am always able to meet that price if I am flexible in timing my visits. 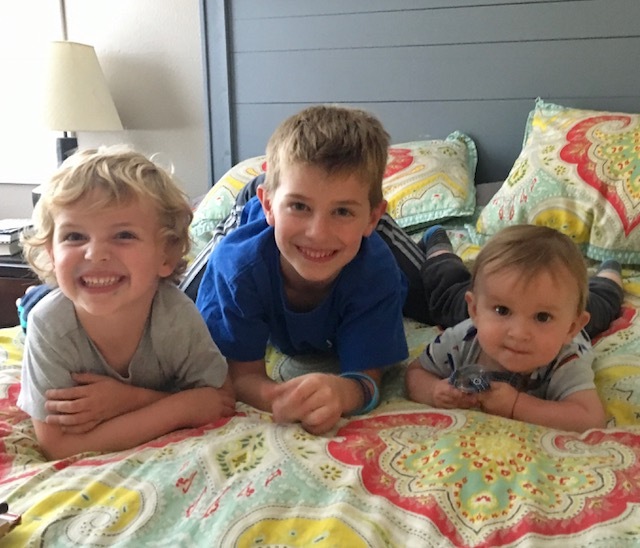 While Long Distance Grand-Parenting isn’t my first choice, I’ve still been able to come up with some unique ways to stay connected with the most precious little people I know and love: my grandsons. Hopefully, someday, we will all live closer. Until then, I will keep doing my best to be a real presence in my grandsons’ lives as a Long Distance Grand-Parent. 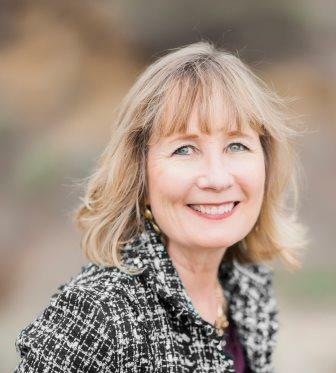 Caryn Payzant is your Mid Life Guru - an authentic and trusted mid-life voice sharing the wisdom gained in her first 50 years and adding to it new, relevant, and exciting information to get through the next 50 in the areas of Healthy Living, Lifelong Learning, Family Relationships, and Midlife Musings. She lives in Rancho Cucamonga in Southern California with her husband of 36 years, Kevin. They have 3 grown children, 2 sons-in-law, and 4 grandsons. You are now my shining star of long distance grandparenting! Our little granddaughter is 18mths old and an absolute delight. They live an hour and a half away and we see her every 6wks or so – nowhere near enough for me but probably enough for her parents! There are some great ideas here and I especially love the Hallmark readalong books. Thanks, Leanne for enjoying the article. 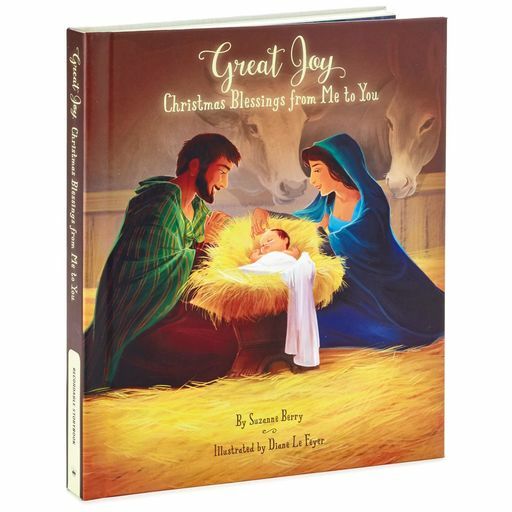 I just bought our next Hallmark read-along book today to give to our Ohio grandson for Christmas!! I love your outlook on being a long distance grammie! We are about 10 hours away from my parents and they try to visit once a year and we go there once a year. That is so great, Heather!!! Trading off with traveling is essential for everyone. This is such great ideas, Cathy!! We are lucky that we live in the time of Skype and being able to “see” people!! We grandparent long distance. Thank goodness for FaceTime. We fly to visit couple time a year and I always stay for 3 weeks. These are all great ideas. My brother is the only one with kids right (he has three) so my parents are currently long-distance grandparents. Thankfully they are moving back to the area soon (and for good) so that’s exciting, but right now, mailing gifts and Face Time are the BEST ways to keep in touch. Hopping over from Over the Moon linky; thanks for sharing! Lauren – I don’t know how we all managed before Facetime! I know you are all glad to get those sweet kids living close to you! Judee – mine are all close, but I think those Shutterfly books are a great idea! Great tips, Cathy – My grandchildren are both 2+ hours away. Skype is a favourite tool that works very well between visits. Thanks for sharing these. What did we do without Skpe & Facetime! I remember occasional long distance calls with my grandparents who lived in another state. I even Facetime almost every day with the grandson who lives 15 minutes away!